World no.1, Fan Zhendong will be looking to defend his crown at the 2018 ITTF World Tour Grand Finals next month. Chinese duo, XU Xin and FAN Zhendong will enter the World Tour Grand Finals as favourites, having finished head and shoulders above the rest in the race to qualify for Korea with 1750 and 1500 points respectively. 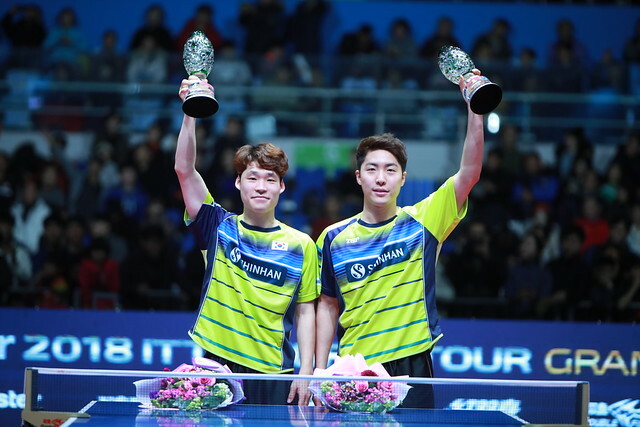 Top seed XU Xin – champion at this year’s Australian and Bulgarian Opens – can count upon the experience of winning the WTGF in 2012 and 2013, while FAN Zhendong will be defending the title he claimed at last year’s tournament in Astana. The 21-year-old won three of the five events in which he took part – namely the Hungarian, Qatar and Swedish Opens – and is hitting electric form at the business end of the year. Despite having to withdraw from both Swedish and Austrian Opens through injury, five-time WTGF champion MA Long occupies the third seed spot. The Chinese star had picked up gold at the German and China Opens en route to qualifying and is fighting hard to make a return from his knee injury in time. Compatriot LIANG Jingkun finished fourth in the rankings following his breakthrough triumph at last week’s Austrian Open. LIN Gaoyuan (7th seed) and LIU Dingshuo (14th) are the other Chinese players this year, while WONG Chun Ting (13th) represents Hong Kong for a fifth time at the tournament. Patrick FRANZISKA (10th) and Timo BOLL (16th) ensure that Germany has two players flying the flag, after Dimitrij OVTCHAROV missed out on qualification for only the second time since 2007. A gold medallist in 2005, BOLL crossed the line with the finest of margins (363 points – only 14 above first reserve Yuya OSHIMA) to make his ninth WTGF event. 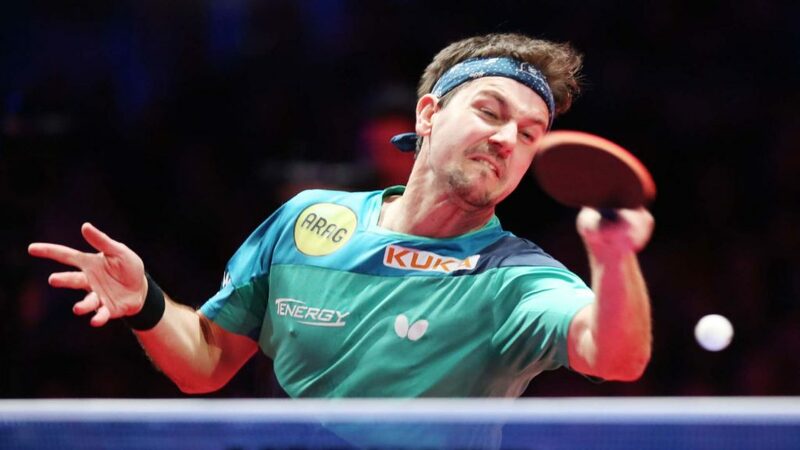 Timo Boll scraped through to the 2018 ITTF World Tour Grand Finals after last week’s Austrian Open in Linz. 15-year-old, Tomokazu HARIMOTO, will be competing in his second successive WTGF event. The rising Japanese star claimed gold in his home country’s Open in June. Jun MIZUTANI and Koki NIWA, 9th and 15th seeds respectively, complete the trio of players from the Far East nation. There will also be three Korean players competing on home soil this year: JANG Woojin (6th) – who won a record three titles in July’s Korean Open – LIM Jonghoon (11th) and LEE Sangsu (12th) are the players receiving the backing of the host nation. Ready to make his WTGF debut this December, Hugo CALDERANO’s impressive year culminated with an 8th-placed finish in the World Tour standings. The 22-year-old Brazilian – a runner-up at the Qatar Open – became the first Latin American player to enter the World Top 10 this year. Here’s a reminder of how he reacted! That #Top10 feeling of @hugocalderano ?? Tomorrow ITTF.com will be rounding up all of the Women’s Singles players to have qualified for the 2018 World Tour Grand Finals.